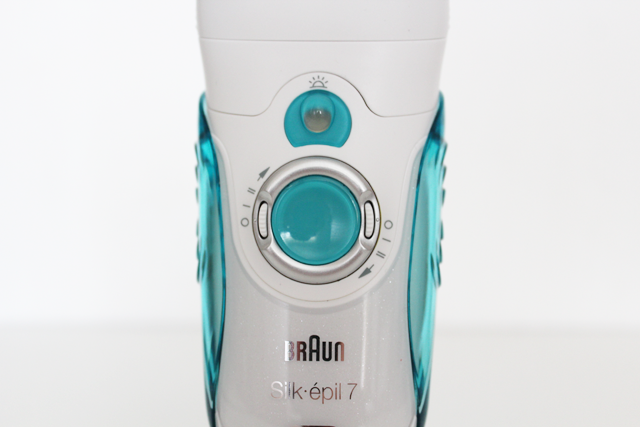 Meet my new but painful friend - The Braun Silk Épil 7 Dual Epilator! 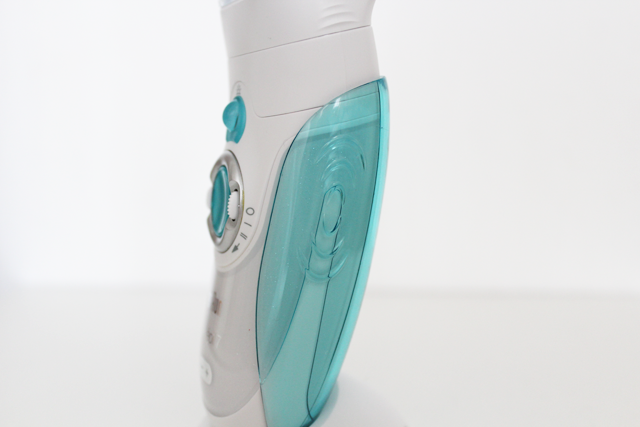 The Dual is a epilator and razor in one claiming to give you smooth skin in one stroke being able to get so close to take hairs as short as 0.5mm. 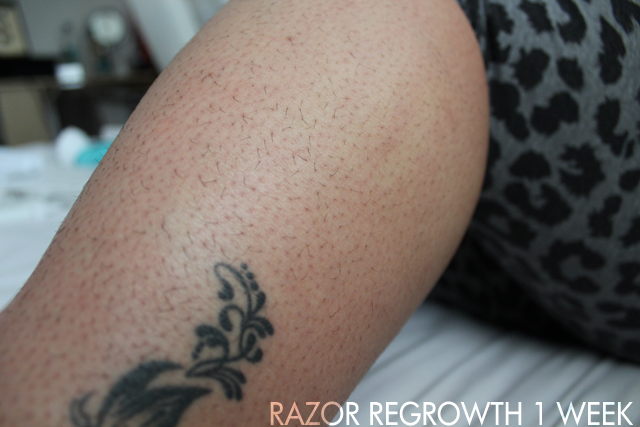 Hair removal is one topic many women don't want to discuss but we can't escape it. I personally don't mind discussing it, it's the ugly side of beauty that needs to be covered. I've pretty much covered most hair removal techniques in my years of hair removal : waxing, shaving & hair removal creams ( which in my opinion has constantly been a waste of money for me ). For a short time I had been wanting to try epilating, of course not the most pleasurable route to take but with the promise of hair being smoother for longer the saying ' No Pain No Gain ' springs to my mind! 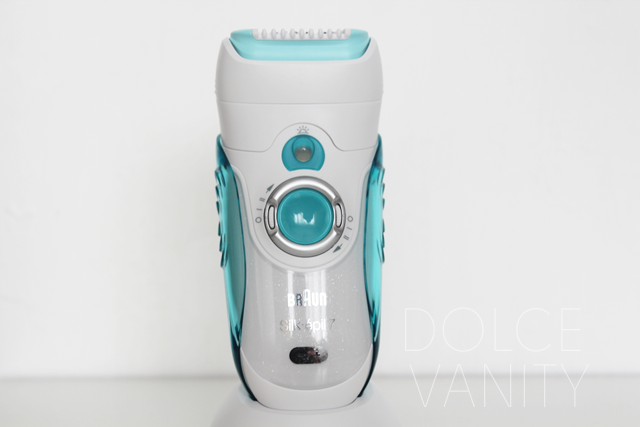 The reason I chose this epilator in particular is because it's a wet and dry epilator and I thought it would be easier to use while wet to help with the pores but surprisingly when I began to use it I found it easier to do dry. Receiving the Braun Silk Épil 7 at Christmas I never got the chance to use it properly because I was either too busy or it was too near to my cycle. Note : Waxing & Epilating near your period will be even more painful as your skin is at its most sensitive. I would recommend to do it two days afterwards. As soon as it's switched on the SmartLight comes on. The pivoting head adapts to the skins contours but it must be placed flat onto the skin first and guided across the surface . Taken extra cares around ankles and other bony areas! This helps you see clearly onto the area your removing the hair from as it picks up the finest hairs and just in case you miss a spot this will make sure you notice it. The Non Slip Grip jacket is great for when your using this in wet conditions. The first time I tried to use it I announced it on Twitter and wishes of luck appeared - which of course made me even more scared while someone told me to take painkillers before hand. -I took the advice as anything to numb down the pain. The sound of the epilator running is loud and sounds like a chainsaw roaring up and once I decided to bite the bullet just the few hairs being plucked out lead me to scream and put it down. Carrying myself to the bathroom I thought "Okay, this is going to be easier to use wet." Lathering up my skin with shaving gel this is where it begins to get hard to hold the skin tight as you go upwards as it's wet and also with the epilator being larger than a normal sized razor it's a slight adjustment but thankfully because of the non slip grip jacket that hugs the epilator it makes it easier to hold in wet conditions. I just found using it wet was a hassle onto the next trial. What I haven't got use to is it's VERY time consuming to be honest it took me 1 hour to do one leg but that was the first time so I won't beat myself up over it. 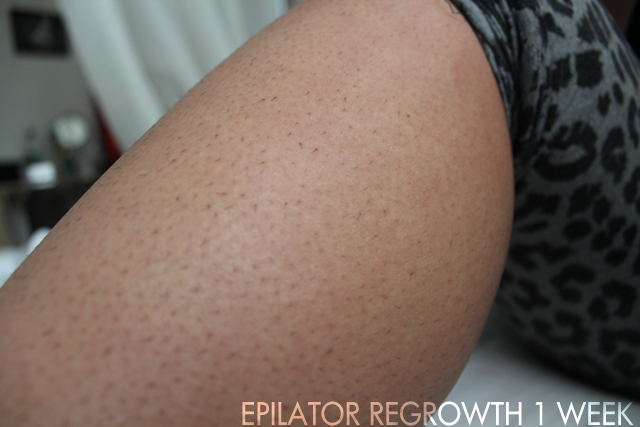 Yet I only did the one leg using the epilator and the other leg with a razor to show the two different regrowth rates. The skin was quite red and some parts looked as though I had been dry shaving which automatically had my mind thinking fantastic I'm going to have bumpy, irritable legs but while redness is likely to occur I just smoothed my legs down using aloe vera and the next morning my skin was feeling a lot better and looking it too. 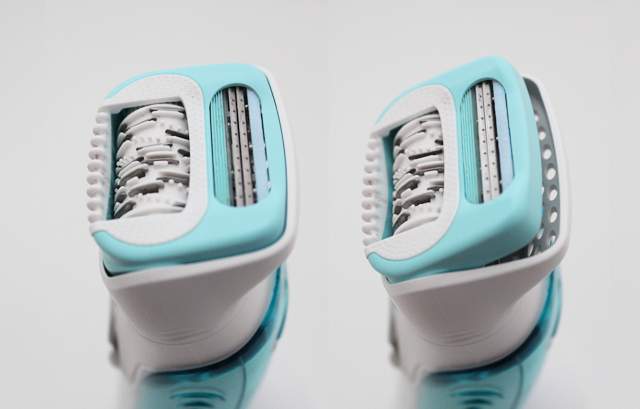 With that being photo evidence of the razor vs the epilator it's safe to say that the epilator is worth the pain and time. I'm on an epilating break but give it a week and I'll be right back to it. It's recommended to be used once a week for the first month and hopefully afterwards only having to use it every 2 - 3 weeks. If this has been used wet it's easy to clean under a running tap. 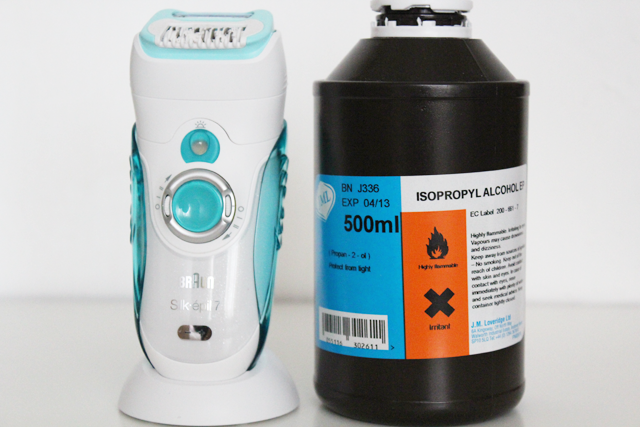 If like me you've used your epilator dry then you'll need to use the brush provided and some alcohol. 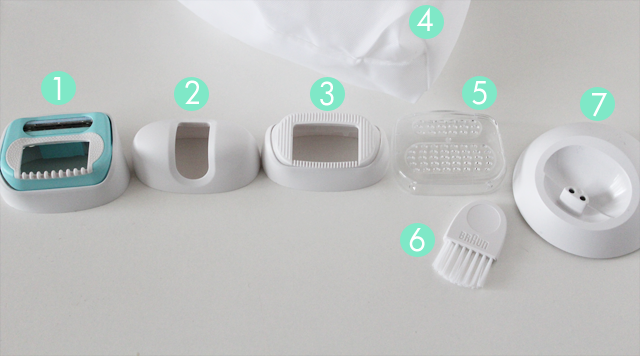 Take off the cap and dipping a cloth into the alcohol begin to wipe the inside clean and the outer cap taking care and time by the razor blades. Now taking the brush which has been dipped into the alcohol too begin to clean the tweezer section, manually moving it around to clean it thoroughly all around. This has to be done after ever use so it's clean before the next use. The quest for smoother skin is on!! haha, believe that's how I felt cos I know epilating isn't the most desirable hair removal!! Thank you for being brave and discussing the topic of hair removal and using yourself as a guinea pig. I plan to do the same on my blog once I pluck up the courage to! Keep up the good work! 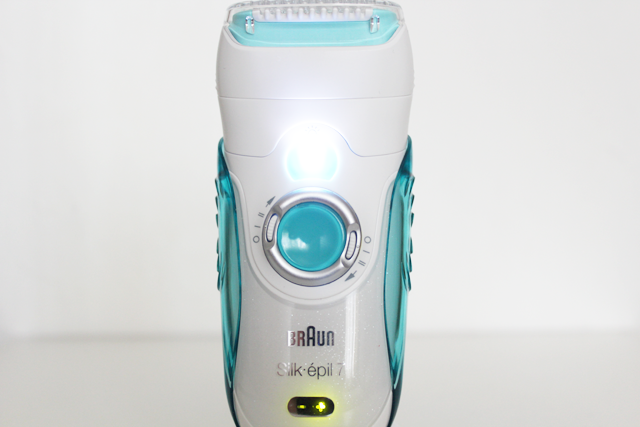 The silk-epil 9 is a great epilator on my opinion. It is useful for face, leg, underarms and full body as well. Check the full review atbeautishe.com. Girls may find it useful to make a decision which is good to buy in 2018. Thanks for your nice review.